Wouldn't it be fantastic to have an unlimited wedding budget to afford everything you dreamt of for your big day? Sadly most if us have to try and keep our budgets on track so here to make life simpler is a way to save you almost five grand in five minutes. A budget in check is to keep numbers small. Taking 10 people off your day list could save you £500 in food and drink costs alone plus one less floral centrepiece and 10 less favours and you could add another £100 saving. 2) Swap Denby for Dubai. If you've already lived together for years, you probably have most things you need for your home. Ask your guests to contribute towards your honeymoon instead and you may not have a matching 32 piece dinner service to admire, but you'll have much more cash to play with. 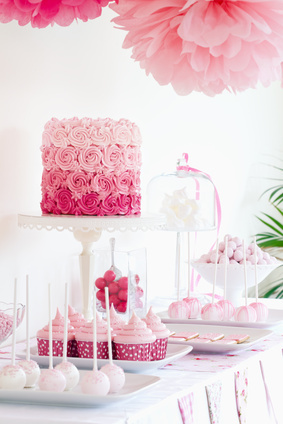 3) Swap a tiered cake for a dessert table. A multi tiered wedding cake may look beautiful but if you want to save some money and offer more choice to your guests go for a fun dessert table instead. Ask your friends and family to bring cakes, cupcakes and desserts and lay them out on pretty plates or cake stands. Serve them as dessert and you save twice as you can knock a whole course off your food budget. 5) Swap cars for accommodation. If you are having your ceremony and reception in one venue the chances are that no one except your photogrpher will even see you arrive in your expensive wedding car. 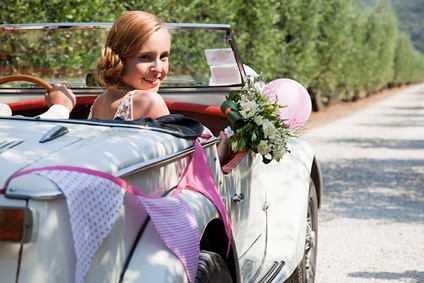 You will probably not choose to frame a photo of you and your wedding car as you will have so many beautiful shots to choose from with much prettier backdrops. If your venue has accommodation, stay there the night before or head over in the morning and get ready there instead. Make your big entrance on foot for big savings. 4) Swap large florals for fun centrepieces. You don't have to pay £50 per table for floral displays. Swap them for hired birdcages, lanterns or candelabras for big savings. You could always add small floral displays around the centrepiece if you want flowers as part of your look or buy realistic foam roses from craft suppliers or floral wholesalers and arrange them in jar jars wrapped in lace or in pretty tea cups for a vintage feel or use hessian and twine wraped jars for a rustic look. 6) Swap Champage for Cava. Most guests at your wedding will be enjoying the free wine or buying beers from the bar so they will often only have a few sips of your toast drink. try sparkling wine, prosecco or cava instead or go for something different like a shot or sparkling rose. So there's £5000 saved with just a few simple swaps. If you need any help managing your budget or more great ideas for planning your big day, contact Steph from Sweet and Pretty Weddings for a free consultation.